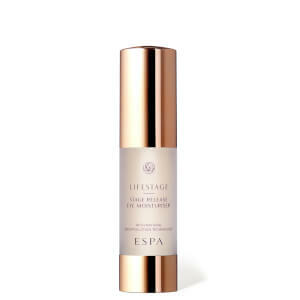 An intensive eye cream to improve skin hydration and enhance firmness and elasticity, while helping to minimise the appearance of lines and wrinkles. A moisturizing complex of Argania Spinosa, Golden Root and Summer Snowflake Bulb work to brighten dark circles and help plump and lift delicate skin. Water (Aqua), Cocos Nucifera (Coconut) Oil, Galactoarabinan, Glycerin, Helianthus Annuus (Sunflower) Seed Oil, Squalane, C12-16 Alcohols, Caprylic/Capric Triglyceride, Polyglyceryl-3 Methylglucose Distearate, Echium Plantagineum Seed Oil, Palmitic Acid, Sorbitol, Lecithin, Beta-Glucan, Betaine, Sodium PCA, Butylene Glycol, Glyceryl Stearate, Cetyl Alcohol, Phenoxyethanol, Argania Spinosa Kernel Extract, Chitin, Glycine Soja (Soybean) Oil, Glycine Soja (Soybean) Sterols, Pullulan, Tocopherol, Xanthan Gum, Niacinamide, Pentylene Glycol, Sodium Lactate, Pelargonium Graveolens Flower Oil, Saccharomyces Cerevisiae Extract, Phytic Acid, Hexyl Laurate, Algae Extract, Fraxinus Chinensis Bark Extract, Sodium Cocoyl Glutamate, Lonicera Caprifolium (Honeysuckle) Flower Extract, Lonicera Japonica (Honeysuckle) Flower Extract, Lupinus Albus Seed Extract, Persea Gratissima (Avocado) Oil, Benzoic Acid, Citronellol, Sodium Hyaluronate, Avena Strigosa Seed Extract, Dehydroacetic Acid, Spilanthes Acmella Flower Extract, Geraniol, Cetearyl Alcohol, Sodium Benzoate, Potassium Sorbate, Caprylyl Glycol, Leucojum Aestivum Bulb Extract, Linalool, Ethylhexylglycerin, Rhodiola Rosea Root Extract, Disodium Rutinyl Disulfate, Hordeum Distichon (Barley) Extract, Melissa Officinalis Leaf Extract, Cananga Odorata Flower Oil, Hydrogenated Palm Glycerides Citrate, Citric Acid, Glycolic Acid, Potassium Citrate, Silanetriol, Ascorbyl Palmitate, Glyceryl Oleate, Citral, Mentha Viridis (Spearmint) Leaf Oil, Rosa Damascena Flower Oil. After purchasing this product, I noticed that my skin below and above my eye (just below the brow bone) started to puff up and the skin became dry, even though I had followed the instructions exactly. I stopped using this for a couple of months and my eyes return to normal. 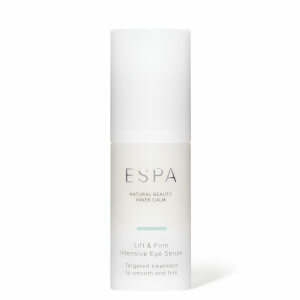 I gave the product a second chance and after the first use, my eyes were swollen and sore. I will not be using this product again!!! I find this product very very sticky, not quite what I expected in a moisturizer. It doesn’t smell good either. 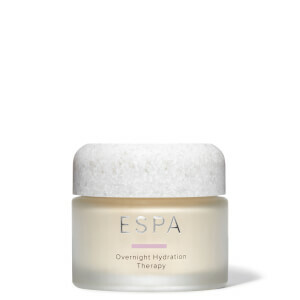 Typically ESPA products have a lovely smell. I bought this for my daughter in law for Christmas and she loves it.